okay, I lied. this collection isn’t actually in stores now. it won’t be in stores & online until april 19, but if you haven’t already discovered it for yourself, the lookbook is live, & there are so many good things. I have to preview this collection now because I have a feeling it will be quite popular. it’s perfect vacation beach wear for women & kids, plus some really adorable housewares to boot. 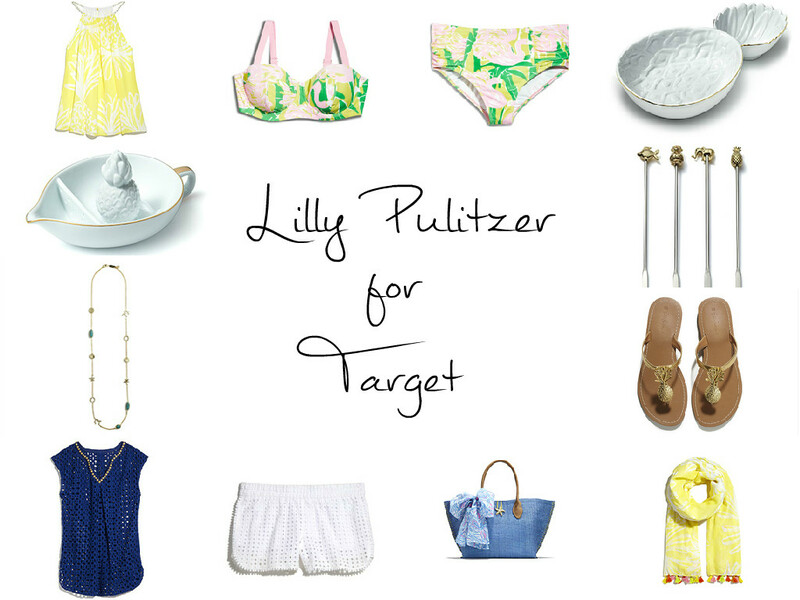 I wasn’t sure how well I was going to like this collection since a lot of lilly pulitzer’s line is just a little too out there for me (girl who loves grey, remember? ), but I was happily surprised to see really great options that are just the right amount of summer cheer without being overly matronly or kitschy. these are my top picks, but it was hard to whittle it down to a reasonable number. I’m really into pineapples, so those sandals & that juicer are calling my name, that bikini set is sweet & would look great under that blue cover-up, and how adorable are those swizzle sticks?